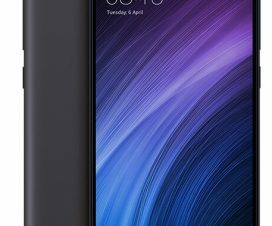 Xiaomi officially confirms that 30 of its Redmi, Mi Mix, and Mi Max series devices will get the latest MIUI 9.5 Global Stable update via OTA. Additionally, the company also reveals exact time frame for this update to hit the eligible devices. 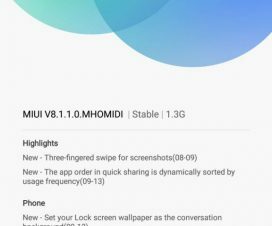 The new MIUI 9.5 update is based on top of Android 7.0 Nougat and brings security updates, New Notification Shade feature for Bundles Notifications and Quick Reply. According to the schedule, the MIUI 9.5 is currently rolling out to Redmi Note 3 Special Edition, Redmi Note 3 (Qualcomm SoC), Redmi Note 4 (Qualcomm SoC)/ Redmi Note 4X, Mi Max, and Mi Max Prime while other models such as Redmi 3S, Redmi 4A, Redmi 4 Prime, and Redmi Note 4 (MediaTek SoC) are supposed to receive the MIUI 9.5 update by “late March”. The third set of devices namely Redmi Note 5A/ Redmi Y1, Redmi Y1 Lite, Redmi 5A, Redmi 5, Redmi 5 Plus, Redmi Note 5, Mi Max 2, Mi 5, Mi 6, Redmi 4X, and Mi MIX 2 are estimated to get MIUI 9.5 by early April. Finally, the Xiaomi Mi 5s, Mi Note 2, Mi Note 3, Redmi Note 2, Redmi 3, Redmi 4, Mi 3, Mi 4, Mi MIX, and Mi 5s Plus will start receiving MIUI 9.5 update by late April. This schedule might not be final, and the roll out might get delayed for some devices. 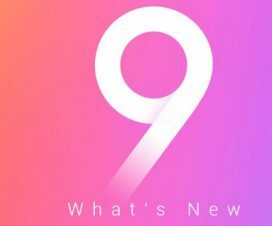 Xiaomi already confirmed that it has started working on MIUI 10 so the MIUI 9.5 will likely be the final update in the MIUI 9 series. 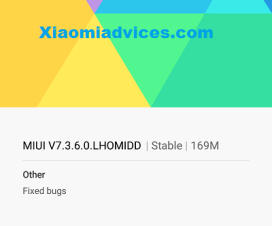 To update Xiaomi phone to MIUI 9.5 Global Stable ROM, download Recovery ROM or Fastboot ROM from above download section and follow our simple guide on how to flash MIUI 9 on Xiaomi phones [All Models]. Already upgraded to Xiaomi’s latest firmware? Do share your experience in the below comment box.